US blockchain firm, Ripple, to expand its Singapore office. Looking to work with local government agencies to develop Ripple-powered platforms to transform and ease payment processes. Since setting up shop in Singapore sometime in 2017, US-based blockchain company, Ripple, is now expanding its office here to better meet the needs of its customers in this region. According to an exclusive report by The Business Times, Ripple wants to double the current number of 12 staff over the next year. Senior Vice-President of Global Operations at Ripple, Eric van Miltenburg also shared with The Business Times that they want to go “beyond basic customer servicing” and recreate the abilities of its corporate office, bringing the team “close to the customer” by responding and understanding market opportunities and needs. Roles they’re looking to hire include sales, account management, tech engineers, and business development, among others. 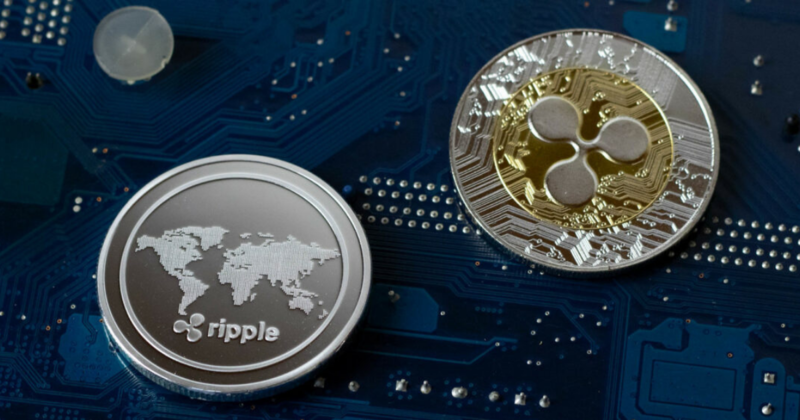 Mr van Miltenburg also told The Business Times that “Asia is becoming a crucial market for Ripple” as it makes up about half of its 200 over customers on RippleNet, its blockchain-powered network of banks and payments providers. Local remittance startup InstaReM, Malaysia’s CIMB Bank from, Thailand’s Siam Commercial Bank, and the Philippines’ BDO are some of its notable clients in the region. He noted that banks in Southeast Asia are starting to take interest in introducing blockchain in payment processes, so it’s a market they will be following closely. Besides RippleNet, the blockchain firm also offers its other solutions like xCurrent, which reduces cross-border transaction time from days to seconds using blockchain technology, and xRapid, a payment process that uses its cryptocurrency XRP “as an intermediary digital asset to enable real-time payments and lower liquidity costs”. Ripple isn’t the only blockchain-powered payments solution provider. The Business Times stated that IBM has launched IBM Blockchain World Wire while JP Morgan has its own “digital coin”. However, the firm doesn’t seem too fazed by competition as Mr van Miltenburg believed this is a “validation” of their direction. It also has support from banks and governments such as MAS and the Bank of Thailand. Last year, Ripple was in talks with the Monetary Authority of Singapore (MAS) to be part of its blockchain experiment in cross-border payments, according to The Straits Times. In 2017, Swedish bank SEB used Ripple’s technology to process more than US$180 million in payments. Then, in November 2018, Standard Chartered and India’s Axis Bank rolled out a “real-time cross-border payment service for corporates using Ripple’s technology” but transactions are processed in fiat money. The Straits Times also cited an example where Ripple’s cryptocurrency XRP could be used as a mode of settlement when a bank wants to move money into a country but doesn’t have a local bank account in its local currency there. It explained that banks can convert their local fiat currency into XRP, then convert XRP to another fiat currency, with each conversion taking place “in seconds”. According to this 2018 report, several Singapore government agencies were “considering Ripple blockchain-based invoice trading platform”. The Infocomm Media Development Authority of Singapore (IMDA), DBS Bank, and Standard Chartered Bank had created a proof-of-concept for the said platform which will use Ripple’s “distributed ledger technology” to track invoices, reduce risks of invoice duplication, and approving loans to suppliers while protecting customers’ privacy. Echoing the earlier example by The Straits Times, the report added that IMDA intended “to develop a platform that will allow banks and financial institutions to convert invoices into virtual assets on a distributed ledger” with Ripple’s technology. Check out Ripple’s career page here.